Not all page-layout programs allow you to colorize grayscale images. QuarkXPress and Adobe InDesign both do, but it's best to check the Help files for your particular program before proceeding. 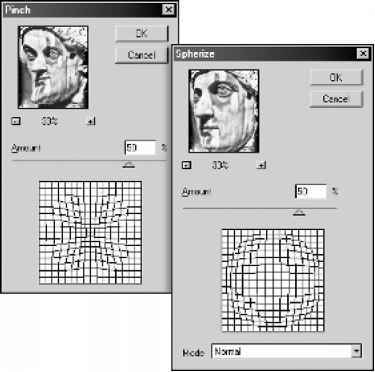 TRY IT To colorize grayscale images in page-layout programs, you must first change the image format in Photoshop. To do so, choose Image I Mode I Grayscale. Photoshop will ask you if you would like to flatten your image. If your intent is to colorize this image in another program, I recommend flattening your image because doing so will make your file smaller and easier for another program to process. If you need those layers, consider saving a copy of the file in Photoshop format before changing the image mode. After changing the image mode, choose File I Save As and select the TIFF file format.